The colors at Simpson Beach seem more intense than at other nearby Oregon beaches. The concretions and flat stones that extend out into the bay are covered with bright green seaweed. The pale pink sand is made mostly of tiny smooth sea shell pieces. 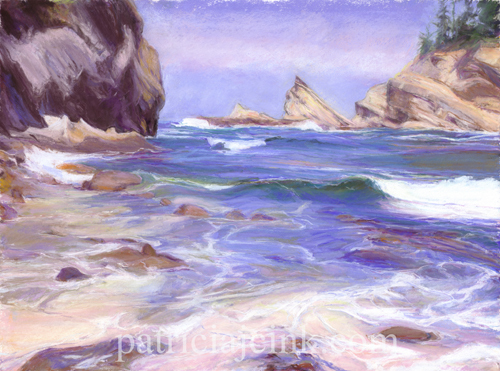 Then, the high tide sends a transparent wash over this wonderful place swirling the colors into a lovely painting.